UPDATED: Tue., Aug. 1, 2017, 10:07 p.m. 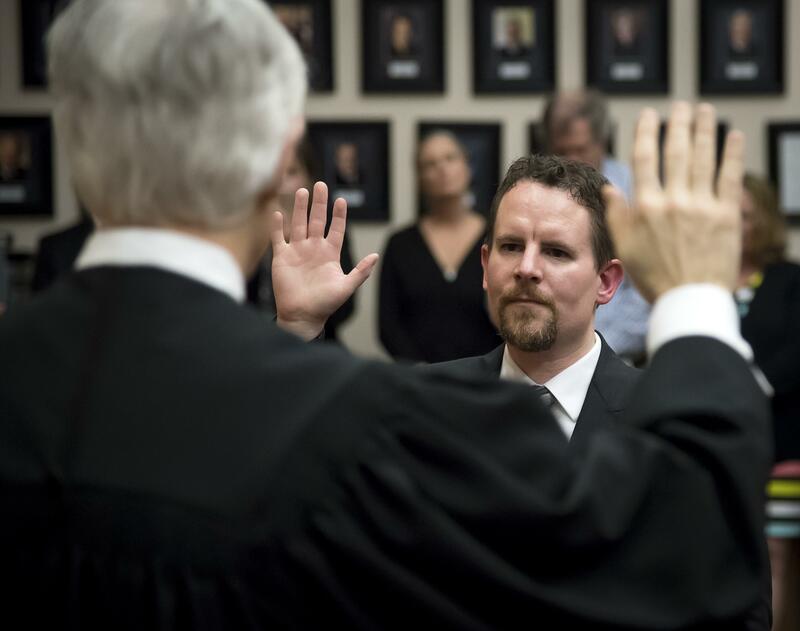 Sitting judges often run unopposed in Spokane County, while open seats usually attract a crowd. This off-year election was needed to fill the seat of the late Judge Sam Cozza who died earlier this year and attracted three candidates. In ballots counted Tuesday night, Tony Hazel, a deputy prosecutor appointed to the seat in May was easily in first, with 51 percent of the vote. Jocelyn Cook, a deputy public defender was edging J. Scott Miller, an attorney with some three decades in private practice, for the right for the other spot on the November ballot. In the ballots counted on Tuesday night, Cook had 25 percent of the vote with Miller a close third with 23 percent. To move into the second spot, Miller will have to overcome Cook’s lead of nearly 900 votes. Under Washington law, the top two candidates in a judicial primary advance to the general election, even if one gets more than 50 percent of the primary vote. Published: Aug. 1, 2017, 8:35 p.m. Updated: Aug. 1, 2017, 10:07 p.m.